Do you ever make quilts for adults that are square rather than rectangular? My future DIL has picked out a pattern that works up to be almost perfectly square, which wasn't obvious by the picture she was looking at. I have a lot of quilts that my Mother-in-law made that are square. I love them all. Actually, most of my quilts turn out as squares. Lap, throws, king and queen/full. The only ones that don't are ones made especially for bed runners or twins. But do what you want. Size is your choice. If you want it rectangle instead of square, there are usually ways to add either additional squares or additional borders just on the ends. What will work out well for the intended purpose? I think it will probably be used on the back of the couch, so I suppose square would be fine. Just hadn't thought of quilts being square. Most of my throws are square, around 60" to 64". You can use them straight to cover your legs like a lap quilt and if you want to totally cover up, use them on the diagonal. I much prefer square to rectangular. I think square quilts look nicer and most of my quilts are square or nearly square. It is like having a favorite color. There is no right or wrong, just a preference! I made an 82" square quilt that I made for my Daughter. It is called Union Square by Lynette Jensen. A full size and a close up. I have some square quilts I put on the guest bed. I put them on the bed "on point" and the blanket underneath adds a layer of color and texture and I really like the way it looks. i make lots of square quilts- but if you want a square quilt pattern to wind up rectangular just add an extra row of blocks- or adjust as needed to change the shape- or you can add top/bottom borders to lengthen it...depends on the pattern what *fix* works best- many quilt patterns make square quilts. I make only square quilts. If they're intended for a bed, then they look good on point or just covering the bottom half of the bed with pillows at the top and if they're baby or lap quilts then you don't have the extra length in the way when wrapping up in them. I think most of my quilts are square. I make them all sizes - and love every one!! I've made several square quilts. In fact...I think more square than rectangular. When friends pick a medallion quilt I found this a problem and ended up putting an extra section above and below centre and not at sides. Worked so far. I don't like square quilts of they are meant to be used as bed covers, or even throws. My mother used to say nobody likes cold feet and I agree with her. 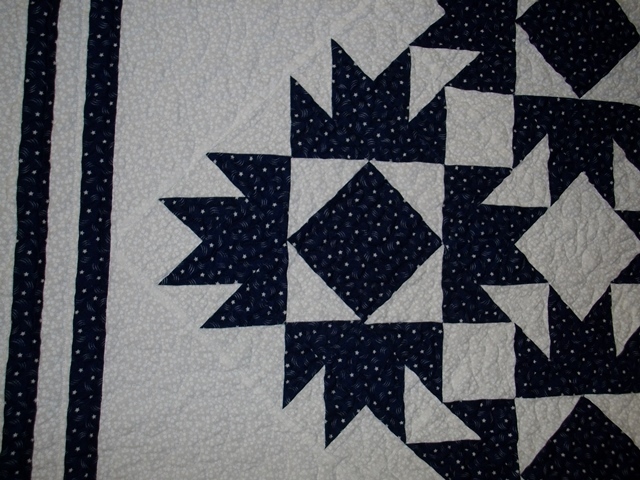 I have made square quilts for wall hangings and even a few baby quilts and that suits me fine, but not for usable quilts. I've made both and very happy with both. I make most of mine square - 50 x 50 or so. I use them for couch throws, or give them away. No one has complained yet! How beautiful!! Love the black and white and the pattern, too! This is simply a gorgeous quilt! Gotta put a B&W on my to-do list after seeing this! I don't get it. If the size is big enough to cover, why does it matter if it isn't a rectangle? A 6' long quilt is 6' whether it is 6' wide or 5' wide. Being a square doesn't automatically mean it's too short to cover feet or a whole body. Being a rectangle doesn't automatically mean it is long enough. It's the overall size that matters, not the shape. Simple math. A quilt is a quilt and is so special! If for a bed I usually make mine longer..just do..didn't stop to think why guess I like to fold them over the pillows.. thinking about it I always add an extra row..maybe 'cause I hope I never get wider than I am long? ? 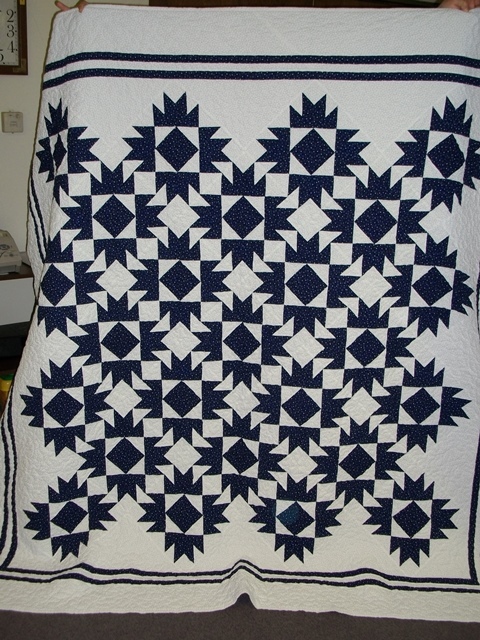 I prefer rectangular quilts, but have seen many patterns for square quilts. You can change a rectangular quilt to be square, or a square quilt to be rectangular on many patterns by making more or less blocks, or adding borders, leaving off borders, etc. No one is better than the other, just which you prefer.